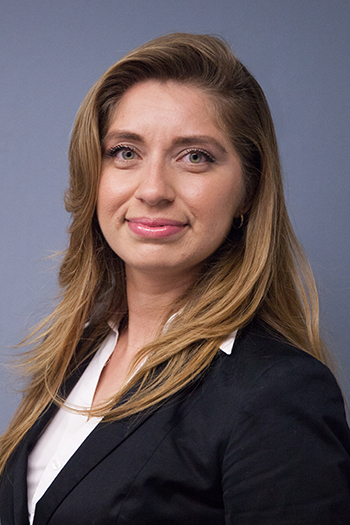 Daisy is a former public accountant at Deloitte & Touche LLP with experience in audit, tax, forensics, and recruiting. She has worked with the real estate, consumer business, technology, media, telecommunications and financial services industries. Daisy graduated with degrees in Accounting and Studio Art while in the US and International Business while in Paris, France – Speaking Spanish, English and French. During her free time she does what she is most passionate about – traveling, body building, dancing, playing/watching soccer, drawing, painting, reading, being a member of ALPFA (Association of Latino Professionals in Finance and Accounting), and volunteering at nonprofit organizations such as Tax-Aid, American Cancer Society, and Hispanic Scholarship Fund – Hispanic Youth Institute. As a “search consultant” Daisy’s goal is to make the recruiting process convenient for both the clients and candidates by being honest and forthright about opportunities.